This is our first stab at an infographic so don’t laugh too much. We’re sure we’ll get better at it as we get more practice! 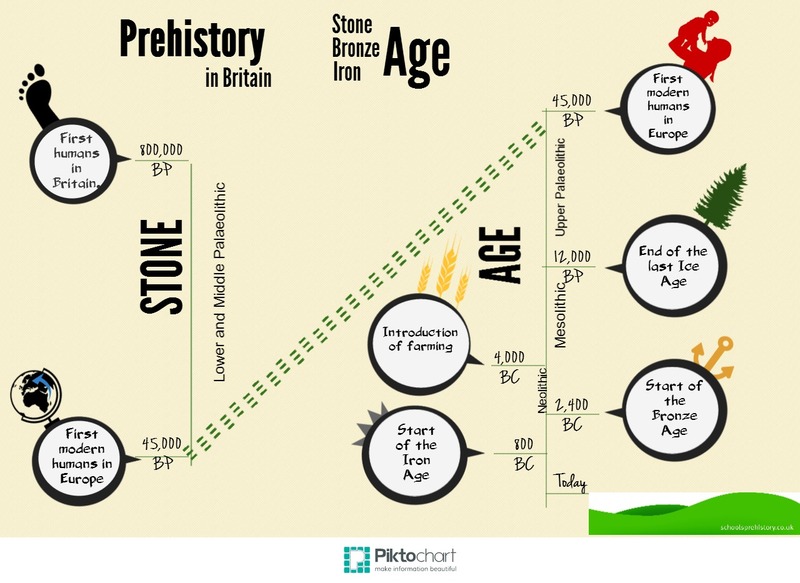 What we wanted to get across was the vast expanse of the Stone Age, plus how it is usually divided up into the Palaeolithic (Lower, Middle and Upper – in that order), Mesolithic and Neolithic and what some of the milestones were in prehistory. Plus some dates. We didn’t want to overpopulate the infographic but perhaps some of that empty space could have been used! 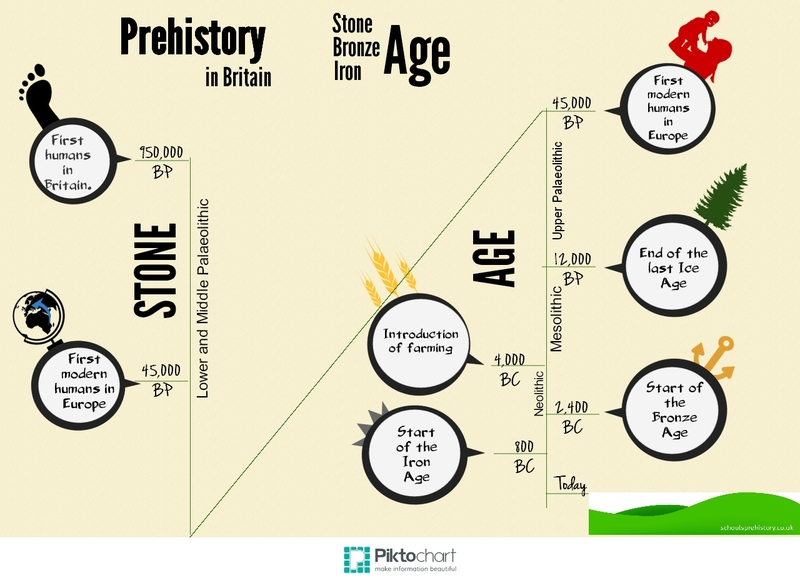 This entry was posted in Teaching resources and tagged infographic, timeline by Kim Biddulph. Bookmark the permalink.